← Our new Corvera Golf & Country Club site, launches! 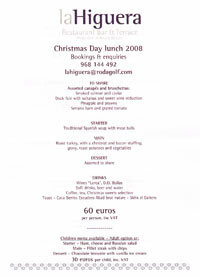 Xmas and New Year menus and entertainment! Hi everyone. 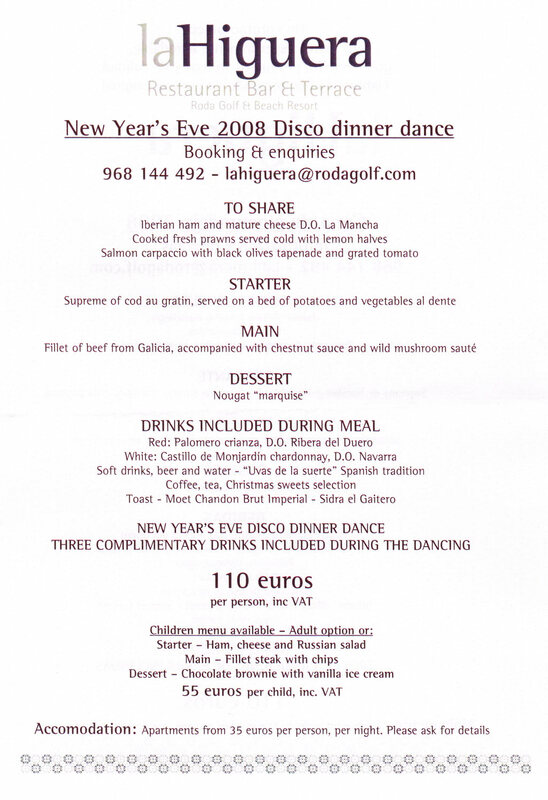 We had a busy week in Roda golf and Beach Resort. Our photographer came over and did an in-depth shoot over at phase three which will be with you very shortly, as soon as we finish writing the accompanying article, but we wanted to get these menus to you all as soon as possible! We know a lot of people are interested to hear what is planned at the Clubhouse for the festive season, so here you are! 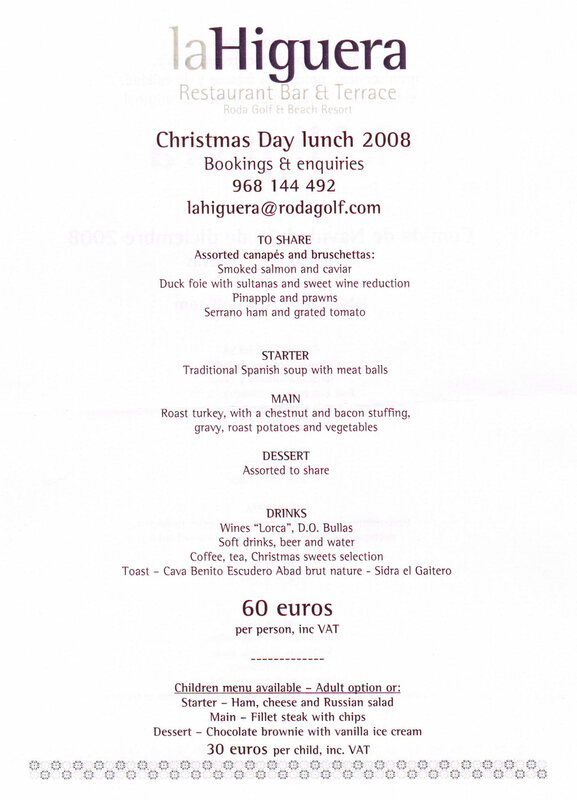 Looking good for Xmas and New Year at Roda Golf! 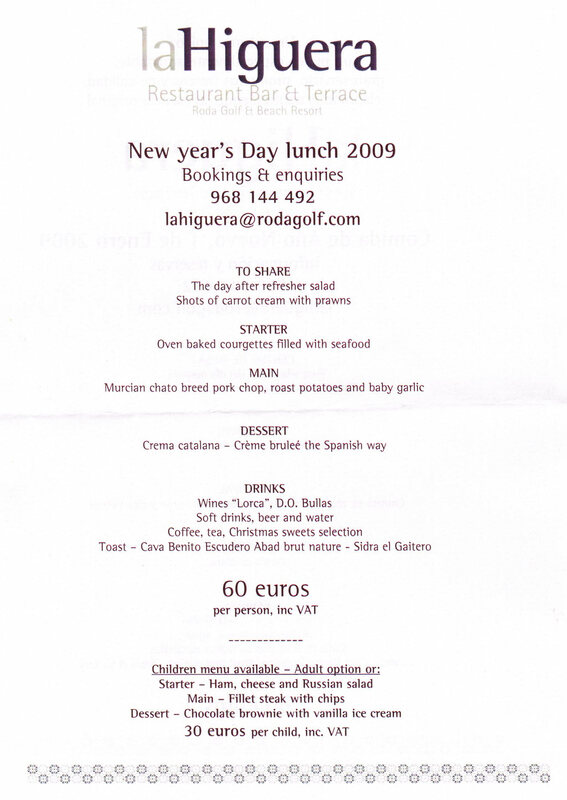 This entry was posted in Clubhouse, food and drink. Bookmark the permalink. 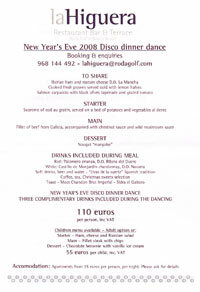 Eating in and around Roda Golf. 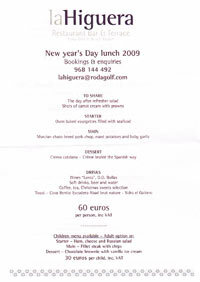 Some local restaurants. The Roda Beach Club gets it's OFFICIAL opening date!